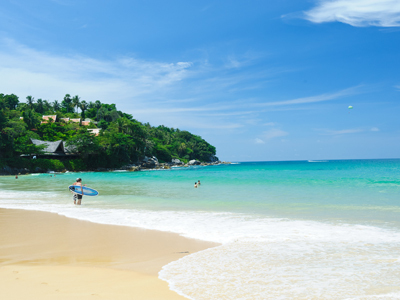 Thailand gives travelers experiences of a lifetime. 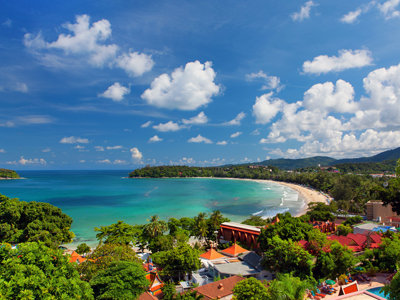 From the rich history at the temples and ruins, the aromas and tastes at the bustling local markets, to the excitement on wildlife excursions and the picture perfect paradise on the Islands, it's hard to believe it's all real. 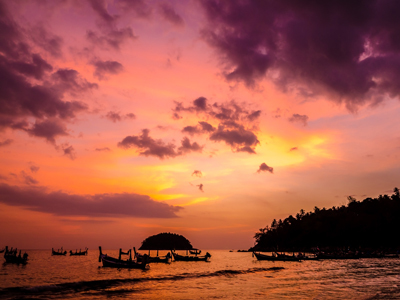 You're timing your adventure well, as you'll arrive in Chiang Mai in time to celebrate Loy Krathong, a beautiful annual festival celebrating the full moon in the twelfth month of the Thai lunar calendar. Meet your guide after breakfast and head to Wat Po, one of Bangkok’s oldest and largest temples – famous for the 43 meter long reclining Buddha. 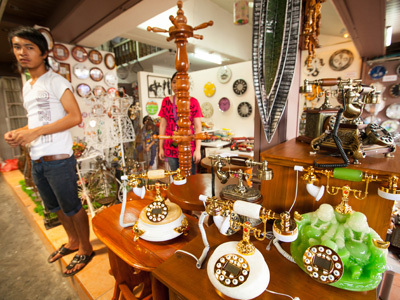 Visit Lak Muang, Bangkok’s city pillar, before heading to the famous Grand Palace. See the Temple of the Emerald Buddha (Wat Pra Kaew), the most revered shrine in the Kingdom. For lunch, instead of a standard restaurant, explore the backstreets of Thammasat University. Your guide will take you for a culinary visit among hundreds of Thai students rushing to the numerous small street restaurants. Get ready for a memorable exploration of Thai food delicacies in these less-visited streets of the capital. Boarding a longtail boat to explore the klongs, Bangkok’s maze of canals and waterways - see parts of Thai traditional life which have disappeared from most of Bangkok. 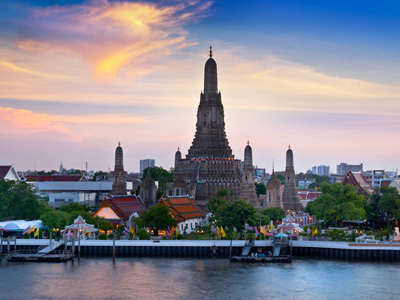 End the day with a visit to Wat Arun, the Temple of Dawn, before returning to your hotel. Today, you are invited to enjoy an exclusive local cooking experience. From your hotel, you will be driven just 15 minutes outside of Chiang Mai, where you will be introduced to a traditional Lanna family. This loving family continues the customs of many generations, building their homes out of teak wood and maintaining their natural surroundings in a way that is now rarely seen throughout Chiang Mai. 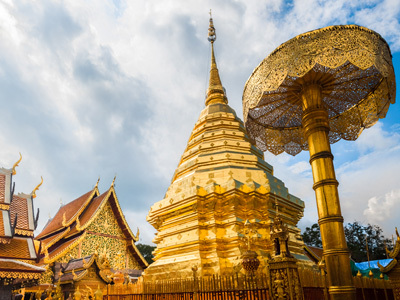 Situated in the heart of Chiang Mai, close to Wat Phra Singh temple, this luxurious Relais & Chateaux property draws its architectural inspiration from a Lampang temple. Its beauty and voluptuous serenity are sure to delight travellrs. The Rachmankha is much more than just a hotel. It is an experience. For the owners, who are two of Thailand's most famous designers and architects, it is a creation of love and a treasury of Lanna art and Chinese antiquities, which can be found in every guest room and throughout the hotel. The combination of Lanna art and interior design, and the temple style architecture has created a haven of peace. This is an ideal hotel for people in need of rest and relaxation.